GE Power is a world leader in power generation. GE Power is the largest energy techniques and energy selling company in the world with products such as engines, turbines and generators. As of 2018, General Electric power plants produced one-third of the world’s electricity. GE was interested in tracking tools within a turbine maintenance facility, to better manage the use and availability of tools and to eliminate potential foreign object debris in turbines being serviced. GE’s Center in Dammam, Saudi Arabia is the largest turbine repair facility in the world, serving customers from over 30 countries. GE uses a wide variety of tools varying in size, material, transportability and value, and sought a way to manage them in daily operations to ensure they do not get accidentally left inside a turbine. 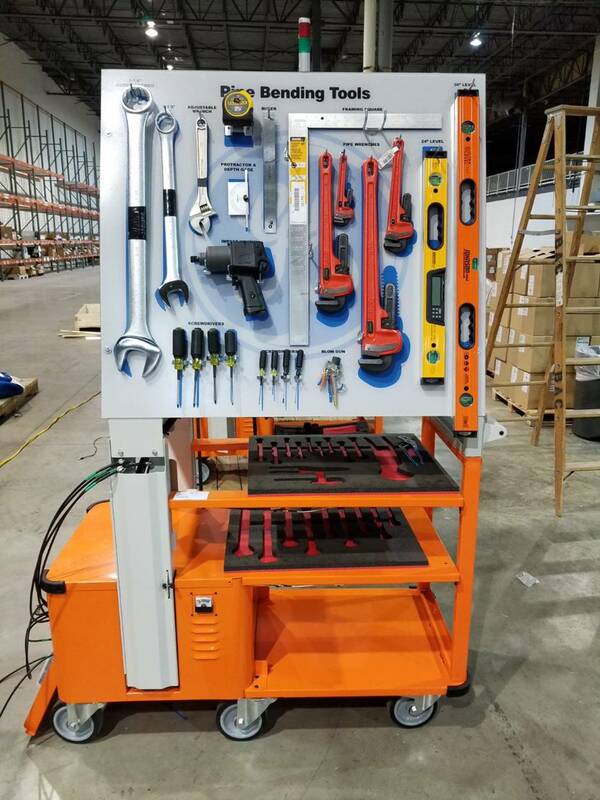 RFID Global designed an industrial grade, RFID-enabled tool cart that tracks when tools are removed and returned to shadow boards and foamboards containing various tool sets. Visi-Trac monitors tool usage and compares end of shift inventory with the expected tool count. If tools are unaccounted for, a visual alert signals that items are missing, prompting workers to locate them. Handheld readers are used to search for tools that were not returned at the end of a shift. 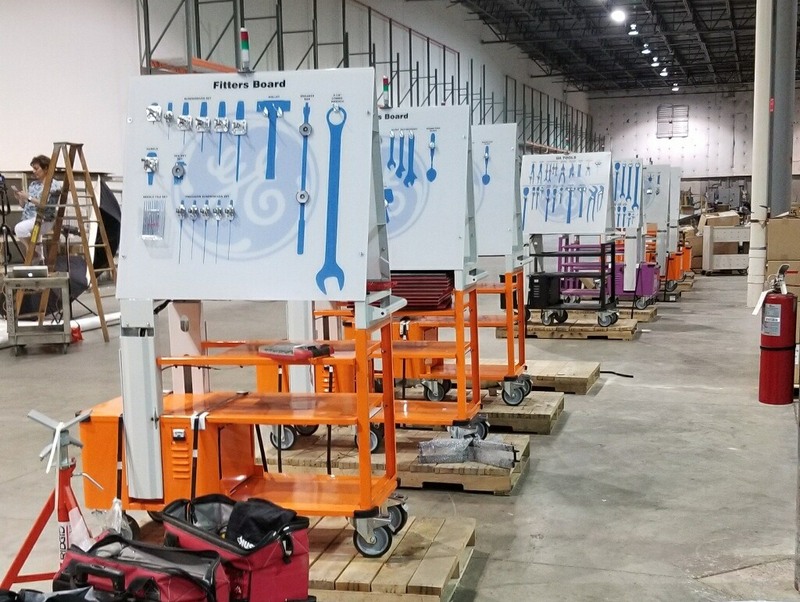 This tools management system greatly reduces the need for, and time spent on, post-shift inventory, improving tool availability, usage and loss prevention. GE now has a way to accurately monitor production tools and safeguard against the catastrophic consequences if a tool were to be left inside the high precision turbines. Automated tools tracking maximizes tool availability and usage and minimizes end-of-shift inventory time, tool loss and foreign object debris.